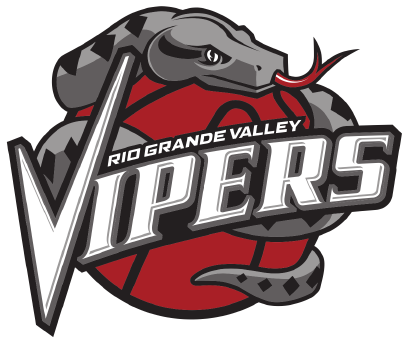 EDINBURG — The Rio Grande Valley Vipers finalized their training camp roster Saturday, after drafting two players in the G League draft. The Vipers, the NBA G League affiliate of the Houston Rockets, selected Jaleel Cousins from the University of South Florida in the second round, and then took Branden Jenkins out of Texas Wesleyan in the third round. The Vipers subsequently traded both players. Cousins played at Navarro College where he averaged 3.7 points and 2.9 rebounds per game while shooting 47.6 percent from the field as a sophomore. At University of South Florida, Cousins recorded 23 blocks which ranked fourth on the team in the 2014-15 season. Cousins was named to the American Athletic Conference Honor Roll two times. He finished the 2015-16 season being ranked seventh in the conference in rebounding (7.9) and fourth in blocks (1.6). He also recorded eight double- doubles, the most by a USF player since 2007-08. Jenkins played one season at LSU where he averaged 8.4 points per game, scored 18 points, 11 assists and 10 rebounds. Jenkins also played two seasons at Lee College in Baytown, where he averaged 9.5 points as a freshman in 2014, did not play in 2015 and then in the 2015-16 season, eighth in Region 14. Jenkins then played the 2017-18 season at Texas Wesleyan University where he was named 1st-team NAIA All-American, 1st-team All-SAC, SAC Player of the Year and SAC Newcomer of the Year. Following the draft, the Vipers received returning player rights to Jabari Brown, 17th draft pick, Kentrell Barkley and 37th draft pick, DeAngelo Isby in exchange for returning player rights to Darius Morris and 49th draft pick, Cousins to the Santa Cruz Warriors. The Vipers also traded a 2019 third-round G League selection to Oklahoma City in exchange for Michael Frazier. Lastly, RGV Vipers traded the 76th pick, Jenkins, to Erie in exchange for a future third round selection. The Vipers open training camp Monday at the Vipers practice facility in Edinburg, and will have a few familiar faces on the court. TheVipers’ training camp roster includes returning players Chris Walker, Julien Lewis, Dakarai Tucker and Shane Richards. New faces will be Angel Rodriguez, Corey Sanders, Jonathan Mulmore, Brandon Sampson, Tim Bond, Michael Frazier, Barkley, Jared Nickens, Isby and Bruno Caboclo. The Vipers open the season Nov. 3 when they host Memphis at Bert Ogden Arena in Edinburg.